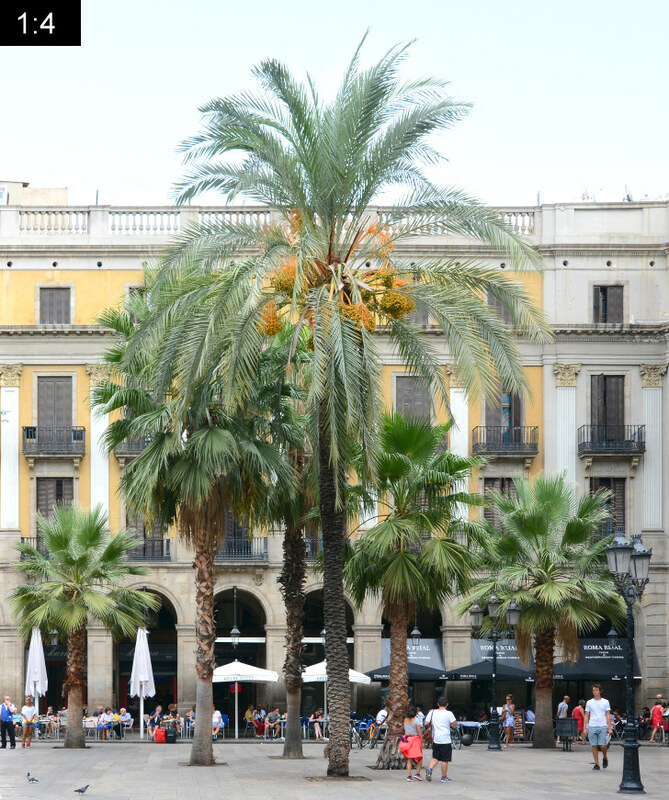 The Plaça Reial (“the Royal Square”) in Barcelona lies right next to the Rambla inside the Barri Gòtic quarter of the old town of Barcelona. 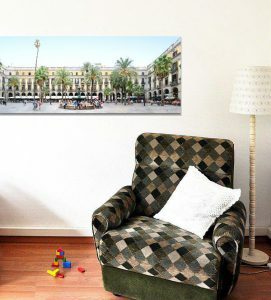 It seems to have just one entrance from the Rambla, but four more entrances are hidden behind portals and passages, two of them at the left and right corner in this panorama. It was designed by architect Francesc Daniel Molina i Casamajó and built in neoclassical style between 1848 and 1895. Before that, this was the site of the capuchin monastery of Santa Madrona. On the square one can also find the Fountain of the Three Graces (Fuente de las tres Gracias) and the helmeted lanterns of Antoni Gaudí. 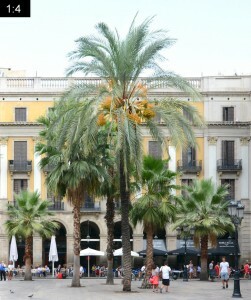 With its palm trees the square has a strong mediterranean flair. 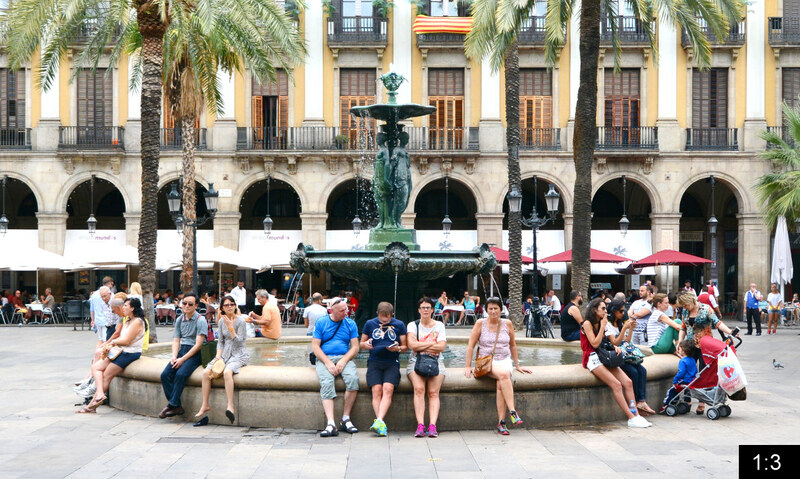 Being a popular square among the Barcelonese Borgeousie from the beginning, it regained its popularity when restaurants and cafés moved in after a renovation in the early 1980s and attracts large numbers of tourists today.